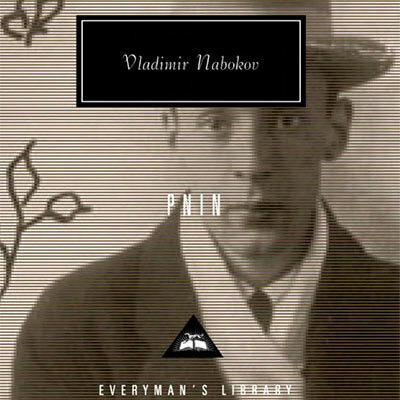 Nabakov is one of my favorite novelists, maybe even the favorite. He was a craftsperson and an artist with wording, particularly consonance. He made prose read like music, with wordplay in and between multiple languages. As I was reading his 13th novel, Pnin, I kept running across passages so delightful that it just wasn't enough to have read them and enjoyed them in my mind. I wanted to keep them like treasures and share them with others. "He found himself in a damp, green, purplish park, of the formal and funereal type, with the stress laid on somber rhododendrons, glossy laurels, sprayed shade trees and closely clipped lawns." "I do not know if it has ever been noted before that one of the main characteristics of life is discreteness. Unless a film of flesh envelops us, we die. Man exists only insofar as he is separated from his surroundings. The cranium is a space-traveler's helmet. Stay inside or you perish. Death is divestment, death is communion. It may be wonderful to mix with the landscape, but to do so is the end of the tender ego." "...still more oppressive was his tussle with the wallpaper." "His sloppy socks were scarlet wool with lilac lozenges." "He had always worn long underwear, its terminals tucked into the tops of neat silk socks, which were clocked, soberly colored, and held up on his cotton-clad calves by garters." "...like so many Russians ... helped himself freely to them with the bracing pleasure of getting for something nothing." "...whose prodigious memory had already disposed of ten languages and was prepared to entomb ten more." This early New York Times review from 1957, just as Pnin was published, has some interesting interpretation. Usually it takes more time to get more perspective, but it's revealing to see how the novel was perceived initially, before the long view of opinion settled upon it.